Cheesy Eggs on Toast: 338 calories. I sauteed the edamame, carrot, soy sauce and oil mixture ahead of time on the stove at home and then I make the eggs separately at work in the microwave. I mix them both together for the final product. Sausage and Pepper Roll: 320 calories. I used the substitution guide and chose mushrooms instead of peppers. I also couldn't find chicken sausage at my grocery store, so I used two breakfast turkey sausage links instead. I packaged the mixture in baggies for each day, making them easy to grab and go in the morning. Lentils make this dish look like gray mush. This does not look all that appealing, but I assure you, it tastes great. I think I'll be adding this snack to my regular rotation. It is rather filling. I packaged the chips in baggies for quick pre-portioned snacks, as seen above in the first picture. This last one isn't on the plan, but I'll make sure to have the recommended 450-calorie-sized portion from the recipe we're making. We have ham leftovers that we really don't want to go to waste. Often get spent on 2 girl scout cookies and a spoonful of peanut butter. Once in awhile, I'll have a diet cherry 7up with a shot of Southern Comfort. #YOLO, right? *Note: Calorie calculations are based upon information entered into the SparkPeople nutrition counter. I entered the brand names and types of food that I used specifically. Self.com has a little bit different calculations than I came up with. I usually do all my prepping for the week on Sunday, after Hubster does the grocery shopping. 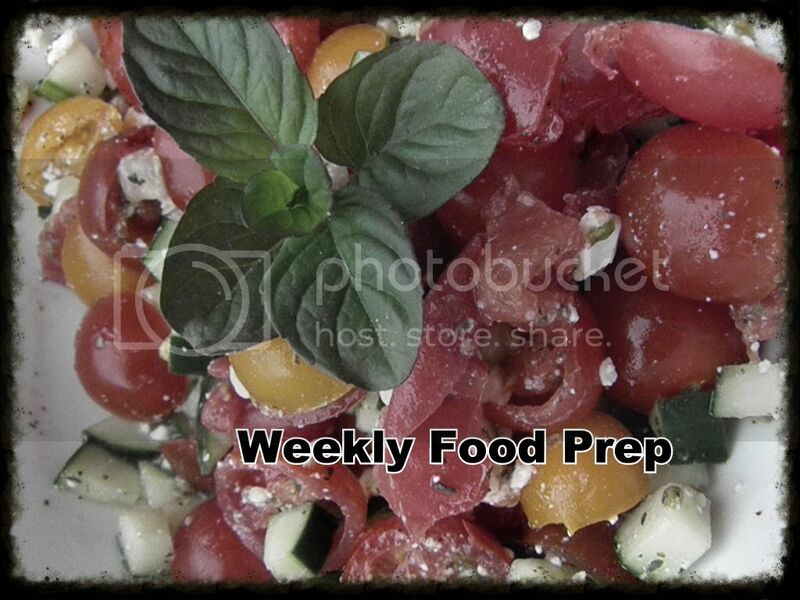 This week's menu took me 1 hour from start to finish, including cleanup. I don't do a whole lot of dinner prep beforehand though. We usually make dinners and eat them fresh as we go, but I do sometimes make some of the grains ahead of time. I love this Drop10 plan! I've noticed that the balance of protein, carbs and good fats is keeping me pretty satisfied all day. I do have to add in a banana or other snack around mid-morning on days where I'm extra active. Those are the only days where I feel a bit shaky if I don't eat a little extra. I feel like I haven't been a slave to the numbers on this plan either. Self Magazine does most of the dirty work for me, so I don't have to. The substitutions are amazing, because I can use whatever I have on-hand or left over from a different meal. I eat mostly the same thing every day for breakfast, lunch and snack. Dinners we switch up and I try to incorporate meals that my whole family will eat. Heck, Self even includes a steak dinner. And of course, Hubster totally went for that. I could hardly take it when I saw that Karena and Katrina are in the development stages of getting their own reality series on Bravo. I couldn't say anything before it was published, but now I'm geeking out about it. I hope Bravo does an amazing job of catching them behind the scenes and maybe even broadcasting some workout sessions with them. I don't know too many of the details, but I think that would just be too cool. Tomorrow I will share a squash recipe with you that I also prepared on Sunday. Stay tuned!